Survation asked the public their opinions on Network Rail privatisation on behalf of the campaign group We Own It. 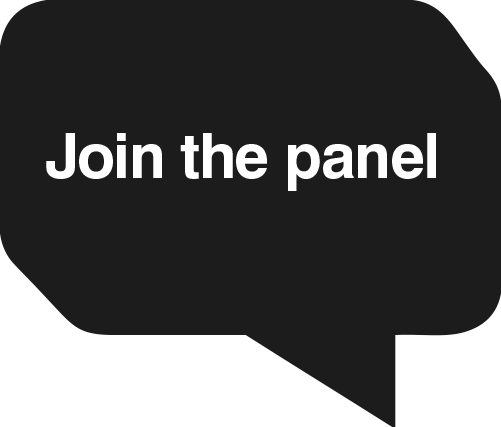 Survation interviewed 1,037 UK adults aged 18+ online between 2nd – 8th December 2015. Full tables can be viewed here. The UK’s Rail Track Network To Be Privatised? The government is currently consulting on options for bringing further private sector capital into Network Rail. The government’s Shaw consultation on the future of Network Rail begun in November and closes on Christmas Eve – Thursday December 24th. Options under examination include ‘full privatisation’. 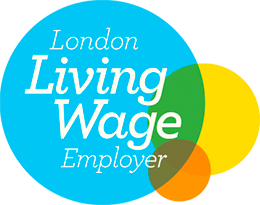 Network Rail – formerly known as Railtrack until the organisation went into administration in 2002 is an independent, not for profit company owning and managing most of the rail infrastructure in the UK, including signalling, bridges, tunnels, level crossings and key stations. Shaw has raised the concern that Network Rail cannot leverage adequate financing to meet infrastructure upgrades while it is in the public sector. Critics of government privatisation are concerned Network Rail is being targeted to assist Osborne’s desire to meet stringent deficit reduction targets – National Rail was reclassified into the public sector in 2014, consequently its debt is part of the national balance sheet. On behalf of We Own It, alongside polling regarding asset sales announced in the Autumn Statement by George Osborne, Survation have polled public opinion on their attitudes to privatising Network Rail. We put the potential advantages of Network Rail privatisation to responders, such as increased investment and efficiency of the rail network as argued by proponents of the plan, alongside potential disadvantages such as fragmentation and decreased investment or safety, as argued by critics of privatisation. We then asked respondents whether on balance they would support or oppose the potential privatisation. 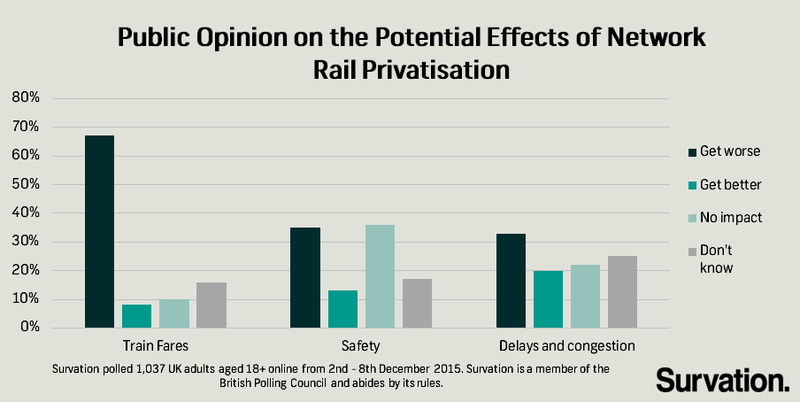 Less than a quarter (24%) of all respondents told Survation they support privatisation of Network Rail. 59% were opposed, (the rest saying don’t know). 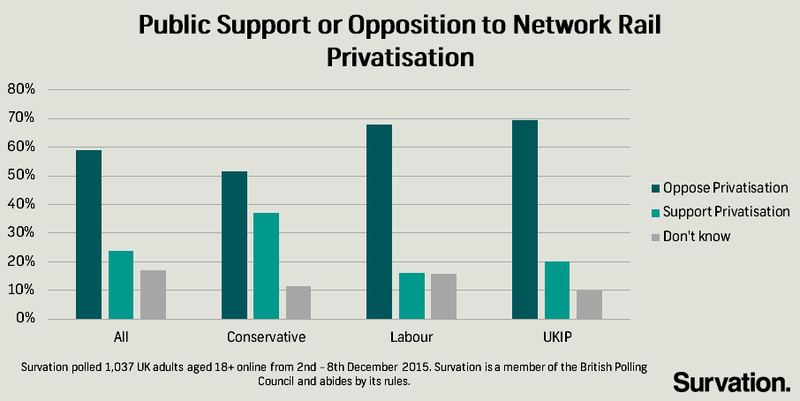 Labour supporters are opposed to privatisation – 16% support, 68% oppose and 16% don’t know. Among Conservative supporters only 37% support Network Rail privatisation, just over half (51%) do not think Network Rail should be privatised and 11% don’t know. UKIP and Liberal Democrat supporters are also unsupportive of privatisation – 69% and 72% respectively do not think Network Rail should be privatised. 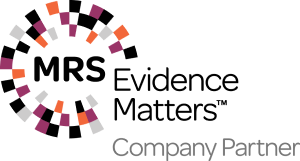 This work follows-on from previously published polling on behalf of We Own It conducted on the proposed asset sales of the student loan book, Land Registry, the Green Investment Bank and National Air Traffic Services, following the Chancellor’s Autumn Statement, which can all be viewed here.